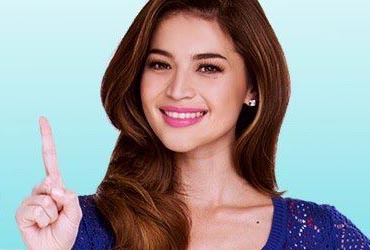 Kapamilya actress Anne Curtis was so pleased as she was considered by the creator and producer Brayan Fuller to be one of the cast members of the NBC’s American TV Series Hannibal. She told the press people about how all things came about. “It was a pleasant surprise. PR Asia (a public relations company) was the one who tweeted and suggested. Nung sumagot si Mr. Billy, ‘Oh I’d really love to. Anne is amazing.’ Halos mahimatay talaga ako dun sa event the moment I heard the news. But I have to audition before anything yet. If given the time I would go there and audition for it. But I think we all know that when it comes to cameos like that you have to take time to audition and travel there,” said Anne. Although many local actors/actresses dream is to be recognized in Hollywood, but It’s Showtime host Anne said she is not yet ready to leave her commitments and career in the Philippines. “Unfortunately, yung commitment ko sa Showtime, hindi pa pwede. Hindi pa siguro right timing. That’s a giant leap, to leave what I have here to audition there. Hindi pa ako handa. Masyado ko pa ine-enjoy yung Showtime. It took me on my 16th year in showbiz to get where I am, so ‘di ko hahayaan na i-risk na mawala pa kung nasaan ako ngayon. Eventually, yes, pangarap ko yun. Pero masyado ko mahal ang Showtime.” she explained. Anne also admitted that her local career is more of her priority, and she has more reasons to stay as she loves what she do aside from acting, hosting, her singing career is also blooming. After conquering the Big Dome, she has yet to fulfill her dream to stage a concert at MOA Arena. “Oo naman priority ko pa rin ang local showbiz. Dito ako nag-start and I hope this is also where I want to end my career.” She added. Nevertheless, Anne is grateful that a Hollywood producer such as Fuller appreciates her talent. “Yes, I think it’s really flattering to hear such kind words. Nakakatuwa, nakakakilig,” she happily said.